In today’s world of Ecommerce websites, its extremely beneficial to offer products through different sales channels. With a Magneto store, you have a considerable edge by being able to offer multiple promotions, marketing and new sales strategies supplying you with a wealth of customer data. When you sell through well known channels such as Etsy, Amazon and Ebay this allows you to reach and network significantly farther than just having a stand alone retail store online. The obvious action would be to have your Ecommerce store as your main point of center for retail but then also expand to other channels. In the past the problem with this approach has been cumbersome to take on. Managing your sales, inventory and product catalogues over the multitude of different sales venues can leave anyone frustrated and overwhelmed. How does a retailer manage and reconcile inventory levels and sales when some sales aren’t immediately updated in a central database, leading to potential “Out of stock” situations that could easily damage a retailers reputation? And how much time would all that really take? Selling via Multi channel can be a very rewarding option and fortunately for Magento store owners there are now several solutions that help integrate your store with the biggest of Ecommerce channels. It’s a multi-channel cloud retail platform that includes a Magento integration alongside others that include eBay, Amazon, and Etsy. It offers many of the multi-channel features you’d expect, including the ability to create and manage listings across all channels, inventory syncing, and order fulfillment. Sellbrite is great if you want to integrate a Magento store with an existing selection of channels or use a cloud service that can control Magento along with other channels. M2E Pro gets its name from its original purpose: to form a bridge between Magento and eBay (which owns Magento). 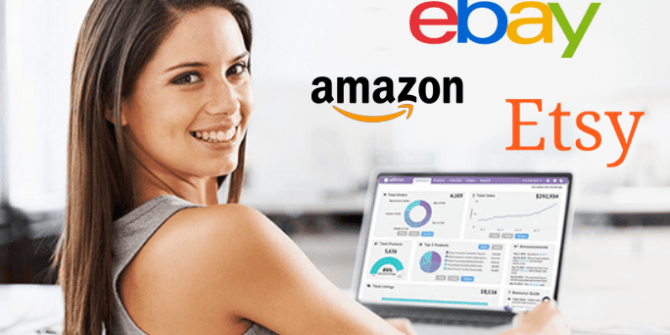 Since then its reach has expanded, and M2E Pro is now a full-featured multi-channel eCommerce solution with support for eBay, Amazon, and Rakuten. Unlike other multi-channel solutions, M2E Pro puts Magento front and center, making it an ideal choice for retailers with an existing Magento store who want to expand onto other channels. Product catalogues and inventory are controlled from within Magento’s backend and data is transferred from there to the external channels. Orders from external channels are fed back into Magento so that each order on eBay, for example, will have a corresponding order automatically created within Magento.